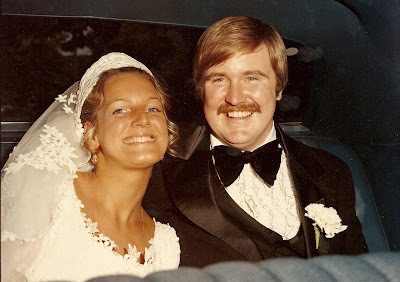 Charleston Girl: Happy Anniversary Mom & Dad! 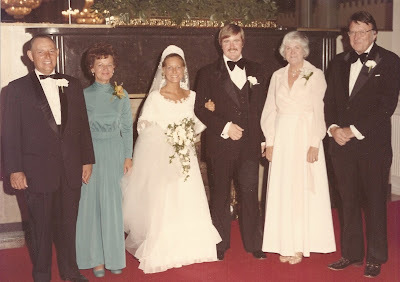 When we were in the Buffalo airport two weeks ago, arriving for our Fourth of July trip, my parents were holding hands as we walked to the baggage claim. I'm so blessed to have parents who have such a strong relationship. 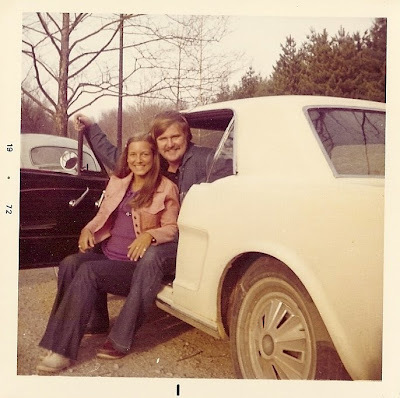 Love this photo above - early dating, 1972 - check out the bell bottoms and the old school Mustang. 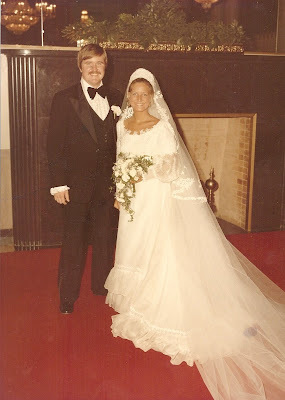 Don't you love my Mom's wedding dress?? It's definitely got a 70's flair...but I've always been so in love with it (P.S. She still has it - vacuum sealed or whatever it's called - and I'm going to try it on when I get engaged). 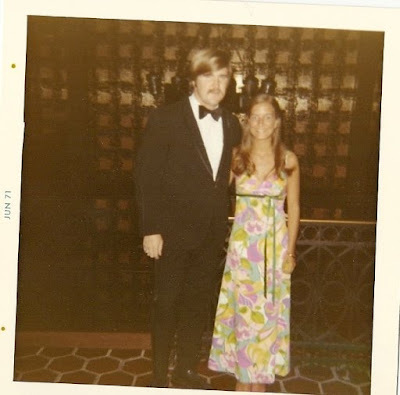 And check out the rockin' ruffles on my Dad's tux, it really compliments his rockin' stache... lol. 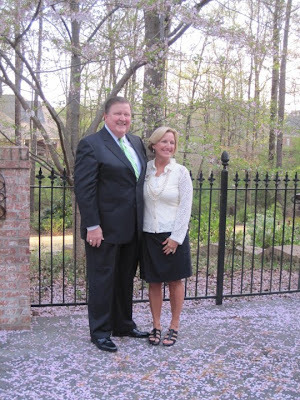 Here are my parents today - despite being in their 60's, I think they still look so young... Love them! Oh they are adorable. I love the outfits from the 70's! How cute! That dress is the first picture almost looks a little Lilly-esque. look at your precious parents.....what a sweet post! 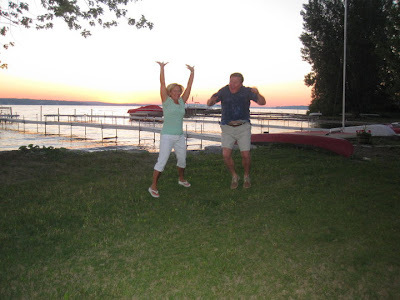 i love the jumping pic...you can just tell that they are so fun! Oh how sweet are they!! I just love it. The ruffles are fantastic, and the dress is beautiful!